These pages provide for interested doctors a library or resource of publications relating to Chinese medicine and reproductive health that have appeared in peer reviewed academic journals and listed in PubMed. Some of them are systematic reviews or meta-analyses, some are randomised controlled trials, and some are pilot studies. Some of these studies point the direction to future research but do not form the basis of therapeutic recommendations. Some of the results show a benefit of using Traditional Chinese medicine techniques and some show no benefit. Clinical trials examining the effect of Chinese medicine on female fertility are not so common, for several reasons mostly relating to logistics of recruitment of participants and funding. However IVF clinics provide a platform for easy recruitment of patients, and evaluation of outcomes, hence much of the research published in this area examines the effect of acupuncture (and sometimes herbs) on IVF patients. Research on the effect of acupuncture on male factor fertility, endometriosis and polycystic ovarian syndrome is being carried out in various parts of the world. Fertility and Sterility, (journal of the American Society for Reproductive Medicine) has published many studies on the effect of acupuncture at the time of embryo transfer. The majority of these papers report an improvement in outcomes. If any provisional conclusion is to be drawn, it is that acupuncture appears to benefit clinical trial groups who have an expected pregnancy rate of around only 30% or less. 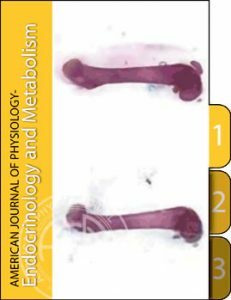 Click this title to see abstracts of these papers. Other journals have reported trials on acupuncture performed at the time of embryo transfer but also at other times during the IVF cycle or in the cycles leading up to and IVF cycle. Trials conducted in China and Japan have examined the effect of taking Chinese herbs before and during an IVF cycle. Click this category to view abstracts of papers examining the effect of Chinese medicine on reproductive health and IVF outcomes. A number of studies in many different countries have examined the effect of acupuncture on sperm count, morphology and motility. 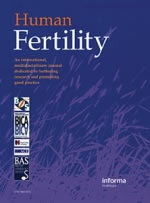 Click this category to view abstracts of studies examining acupuncture and sperm parameters. Studies have shown that stress can negatively affect fertility and in some cases IVF outcomes. One of the suggested mechanisms for the positive impact that acupuncture may have on IVF outcomes, is its ability to reduce stress and anxiety. Click this category to view abstracts of articles published in medical journals about stress, fertility and acupuncture. Herbal medicine is commonly used in clinics in China to treat the symptoms of endometriosis. And recently clinical research in Australia is indicating that acupuncture may have a role in reducing associated pain. 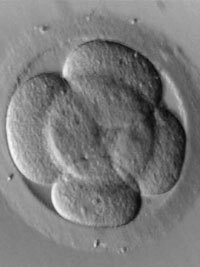 Some studies have been carried out on IVF patients with endometriosis. Click this category to view abstracts of studies examining the effect of Chinese medicine on endometriosis. Trials examining the effect of acupuncture on ovary function of women with PCOS are being carried out in many centres in the world. The effect of Chinese herbs has also been studied with relation to hormonal factors and obesity. Click this category to view abstracts of papers examining the effect of Chinese medicine on PCOS. Some trials have examined the effect of acupuncture on symptoms that occur in pregnancy and the effect of acupuncture on labour. Click this category to view abstracts of studies of acupuncture used for pregnancy conditions or labour. A number of groups in different countries have carried out meta analyses on the embryo transfer and acupuncture trials, and other researchers have reviewed the effect of Chinese medicine on other aspects of fertility treatment. Click this category to view summaries of reviews or meta analyses.